Resident Evil 6 release date changed. Coming in October instead of November! 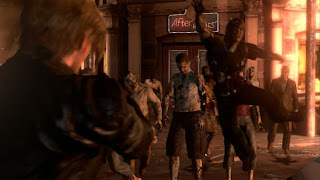 Resident Evil 6 will be released on October 2nd, Capcom announced at Captivate 2012. They must be making excellent progress since the game was first announced to be coming November of this year, but the new date is fine with me. RE6 will include three playable stories, Co-op play, and the popular mode Mercenaries – which will be unlocked from the beginning. If you plan on checking out Dragon's Dogma next month, don't forget that you'll have early access to the Resident Evil 6 demo when it becomes available. Below is a trailer for Resident Evil 6 and the newly announced Lost Planet 3!